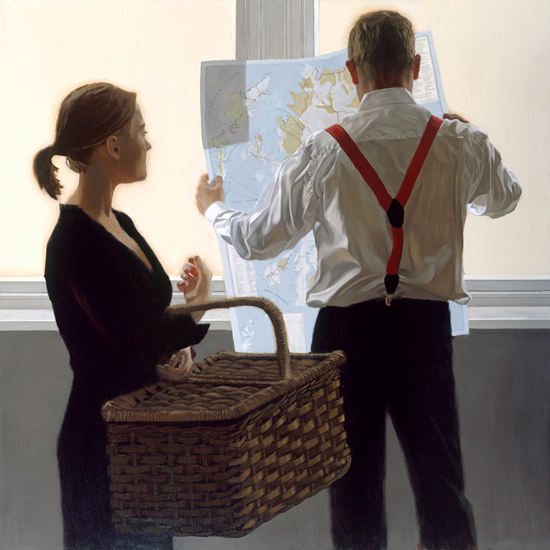 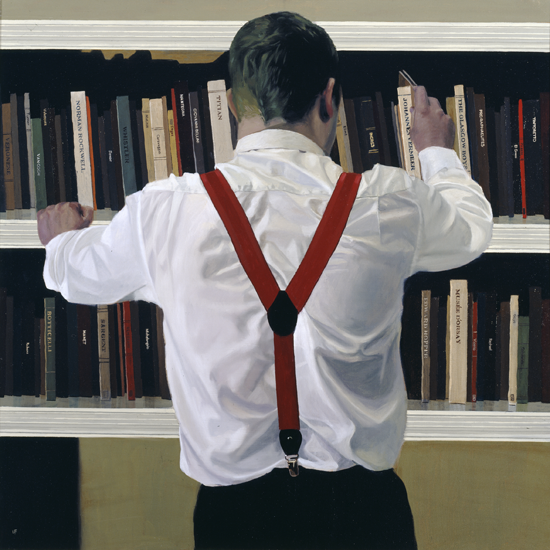 Iain Faulkner was born in Glasgow in 1973 where he was raised and educated. 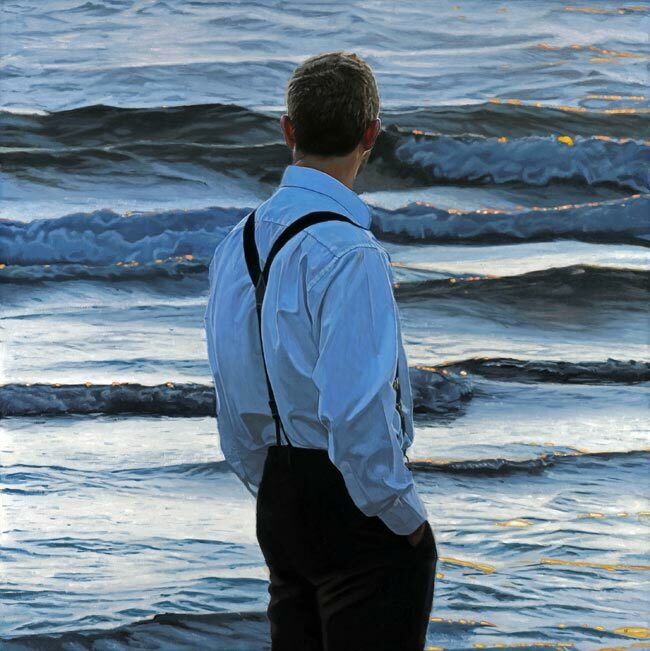 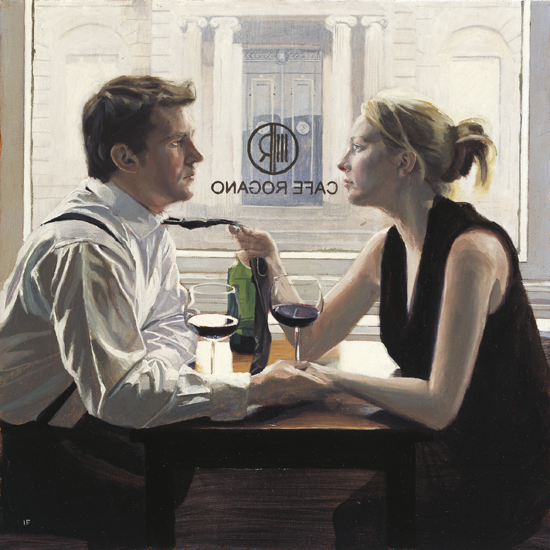 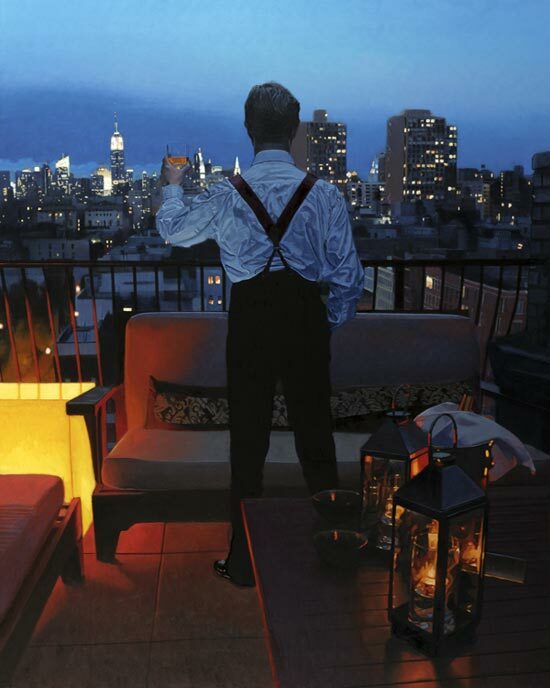 Iain Faulkner graduated from Glasgow School of Art in 1996 with a BA (Honours) Degree in Fine Art. 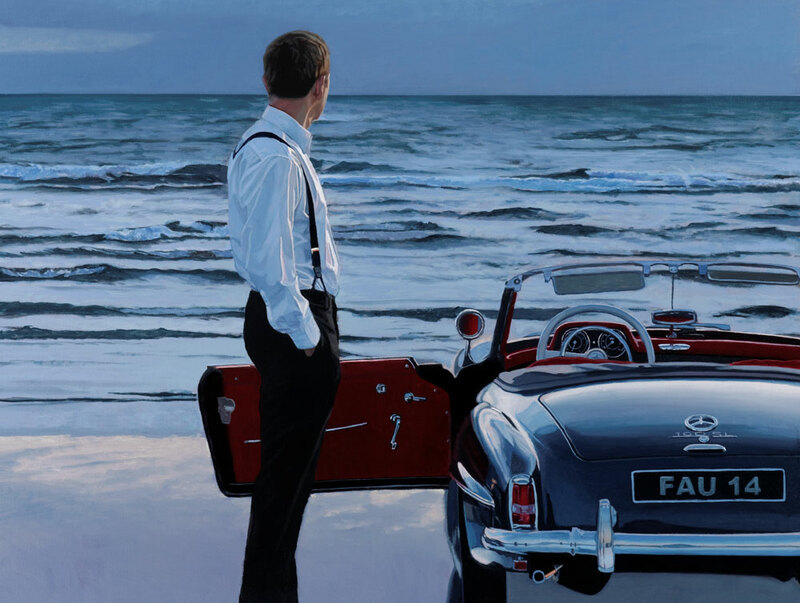 From the onset of Iain Faulkner's professional career, the fashionable and trendy routes of contemporary and conceptual art, adopted by many of his peers, was not an option. 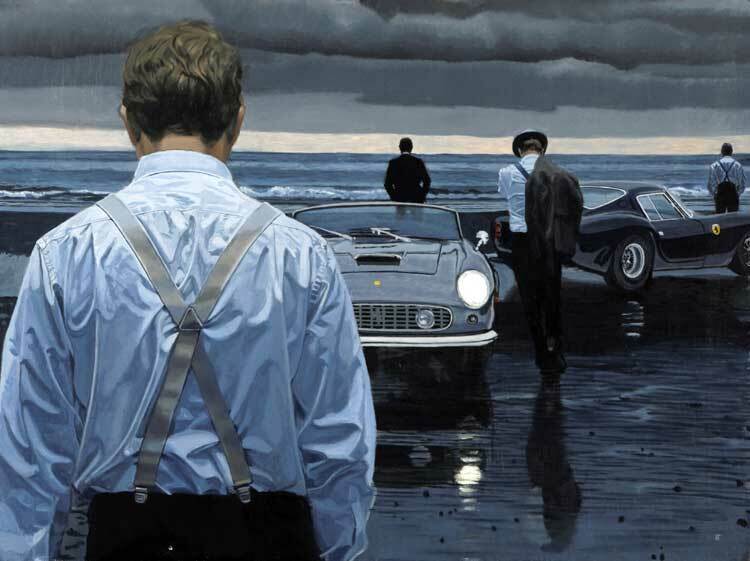 Iain Faulkner chose instead to follow the more difficult and demanding path of figurative painting wherein clear, concise yardsticks of competence, draughtsmanship and painterly skills can be measured and judged, warts and all. 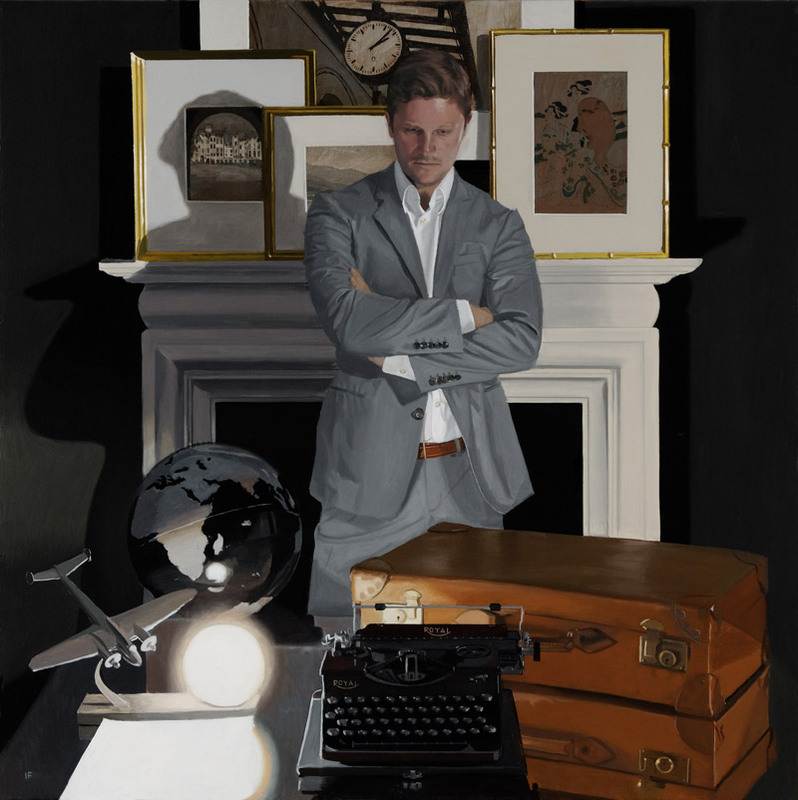 At the age of twenty-nine, the result of his endeavours during his relatively short career has brought a considerable measure of success with his last four shows in London and New York selling out which is clearly indicative of the public's appreciation and interest in his work. 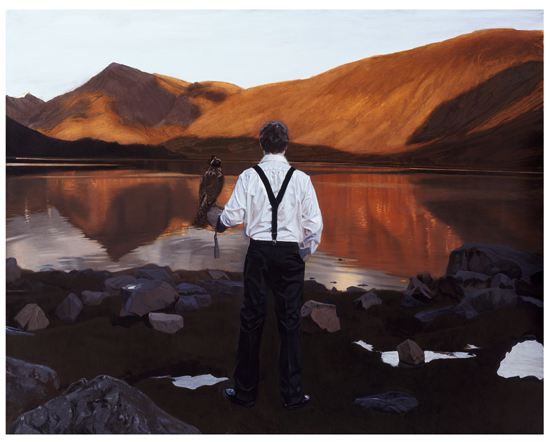 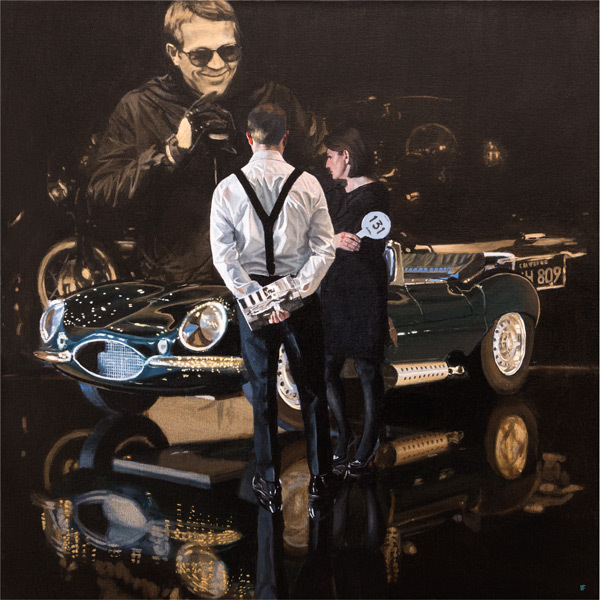 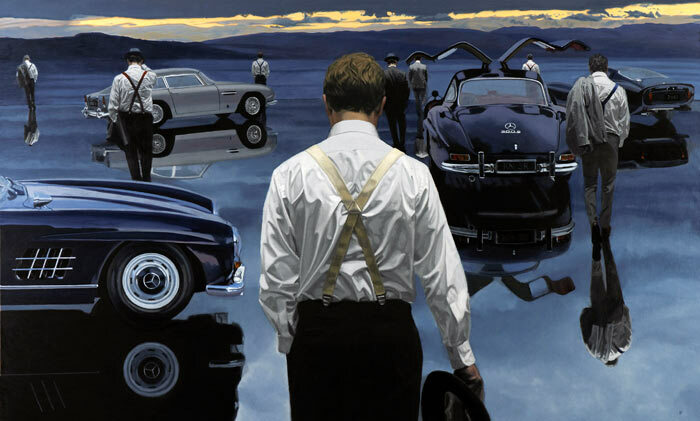 Iain Faulkner's paintings are concerned with the portrayal of strong and powerful images relying on visual impact as there is rarely any narrative. 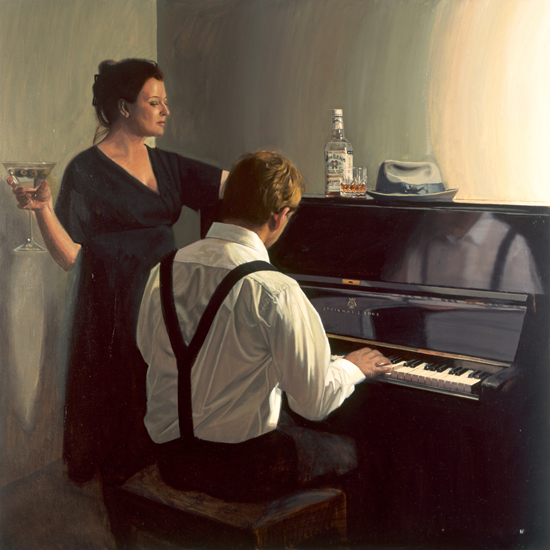 They are about capturing calm and contemplative moments, intimate exchanges, solitude, sometimes melancholy, heightened in their resonance by the use of chiaroscuro. 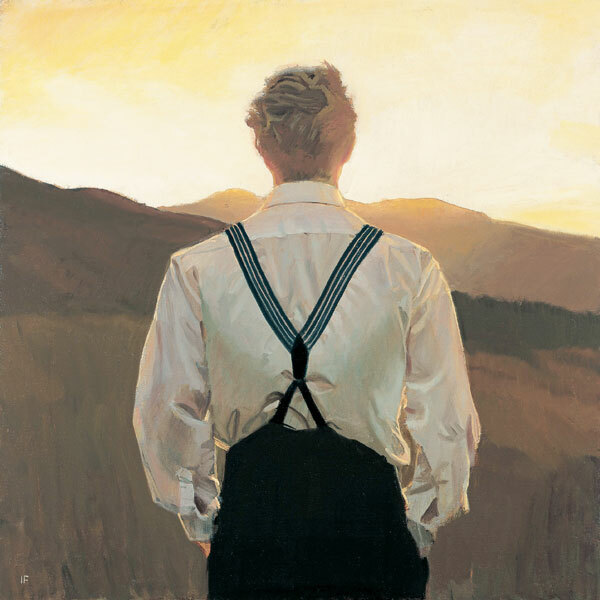 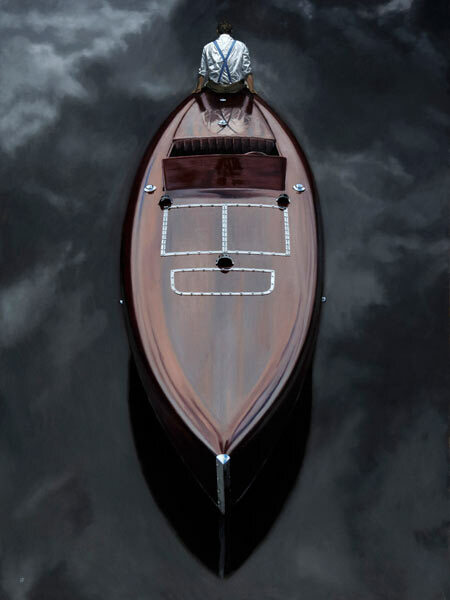 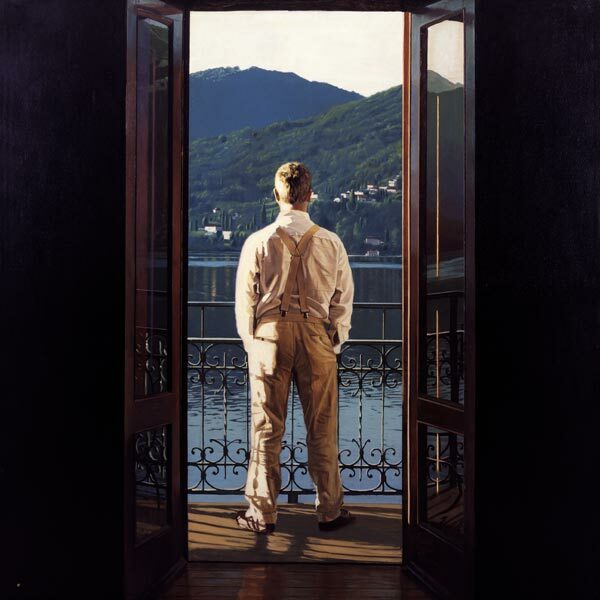 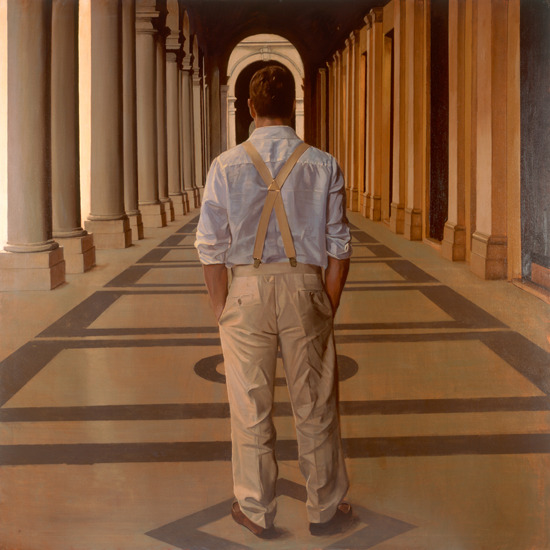 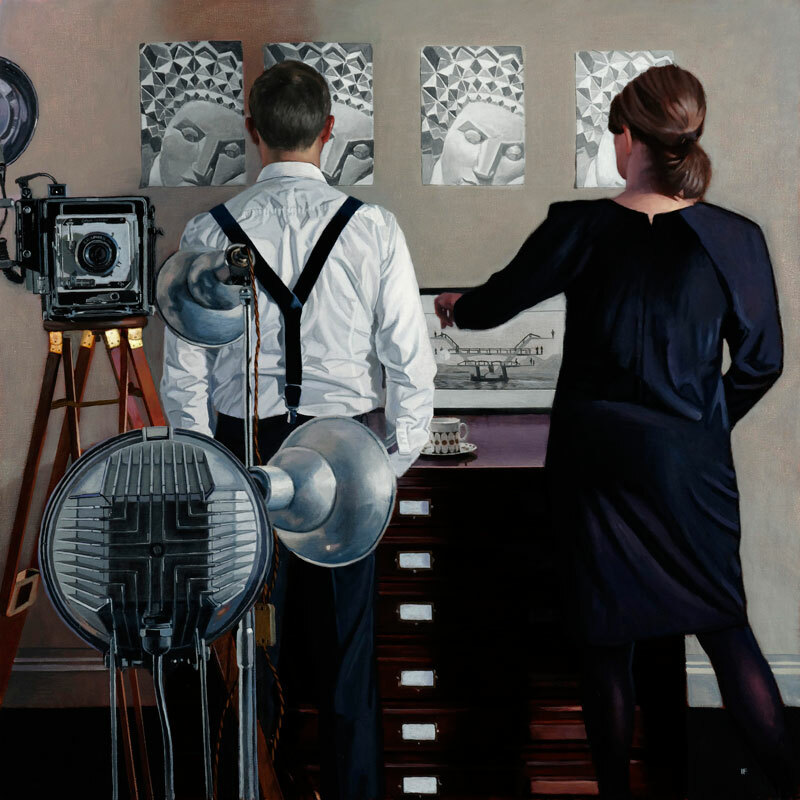 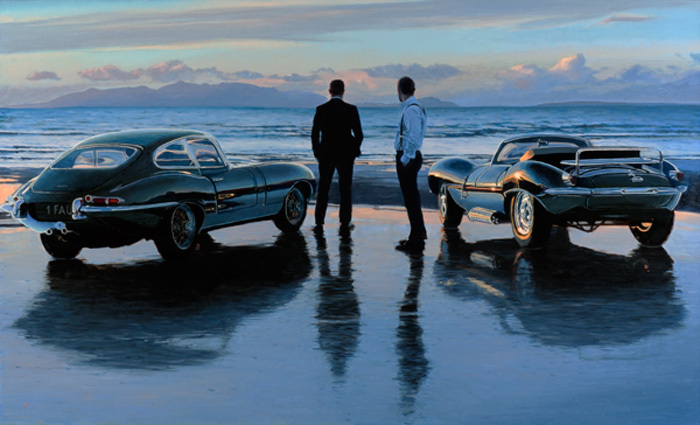 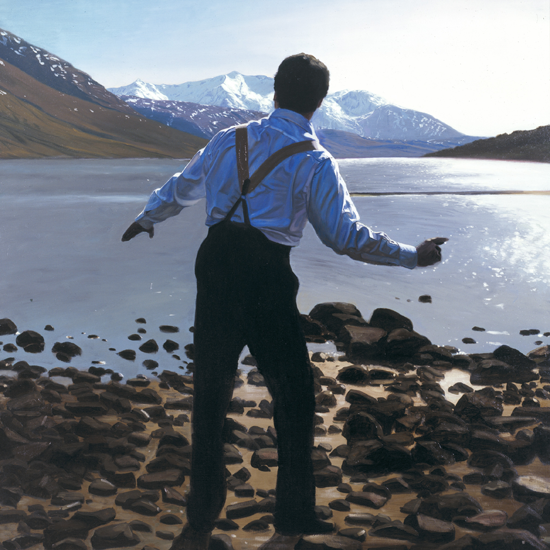 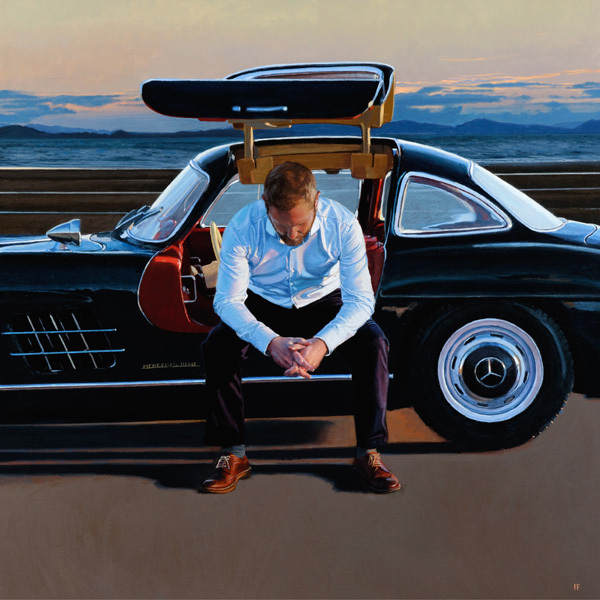 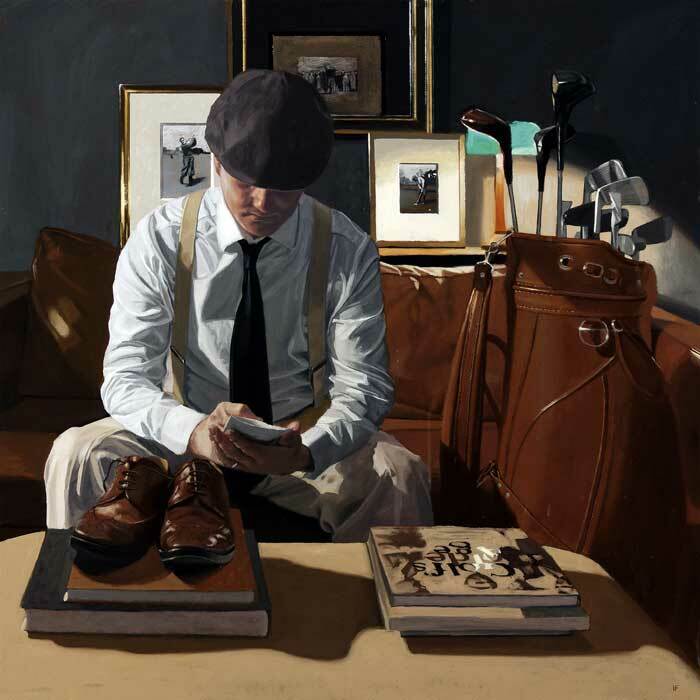 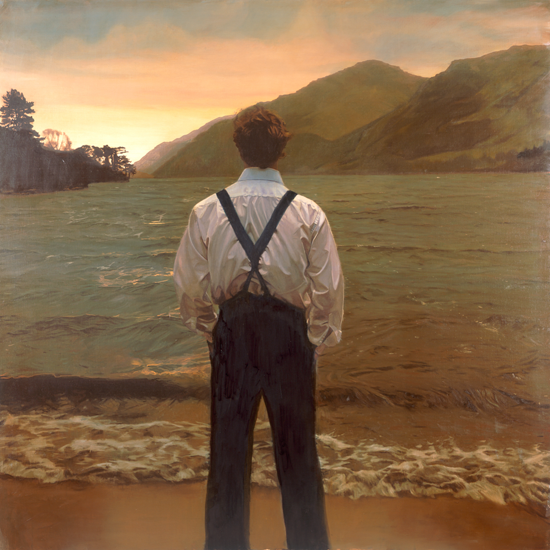 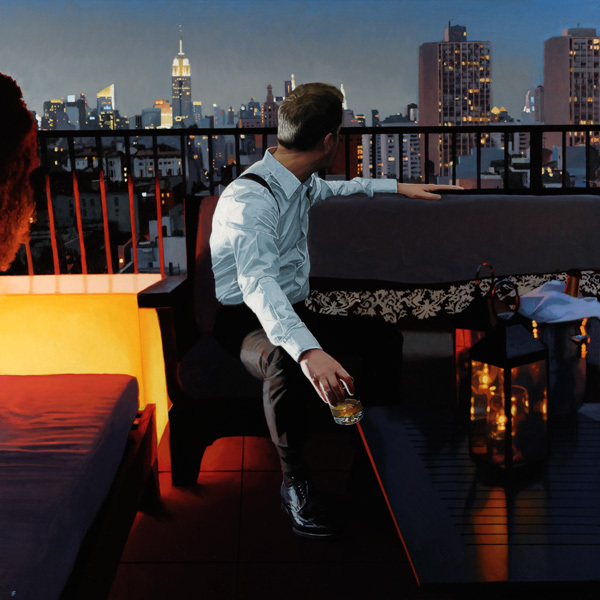 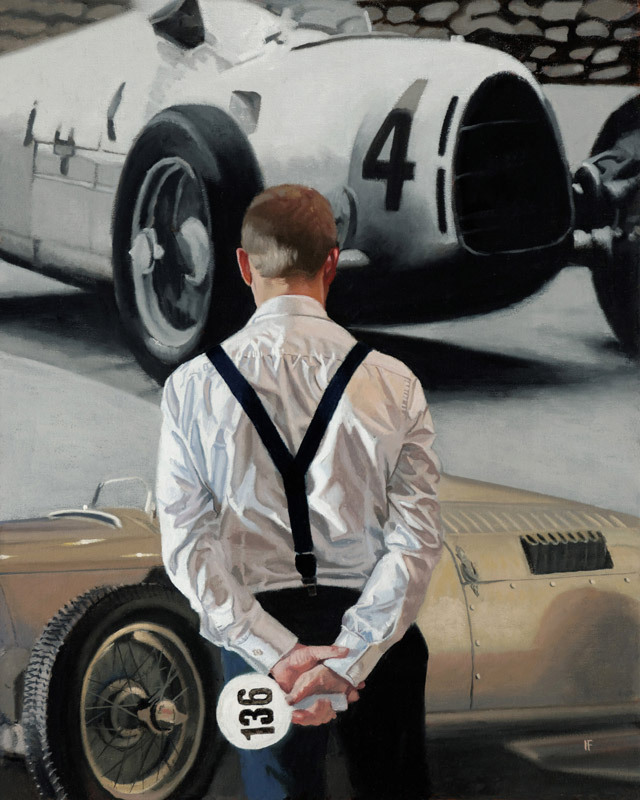 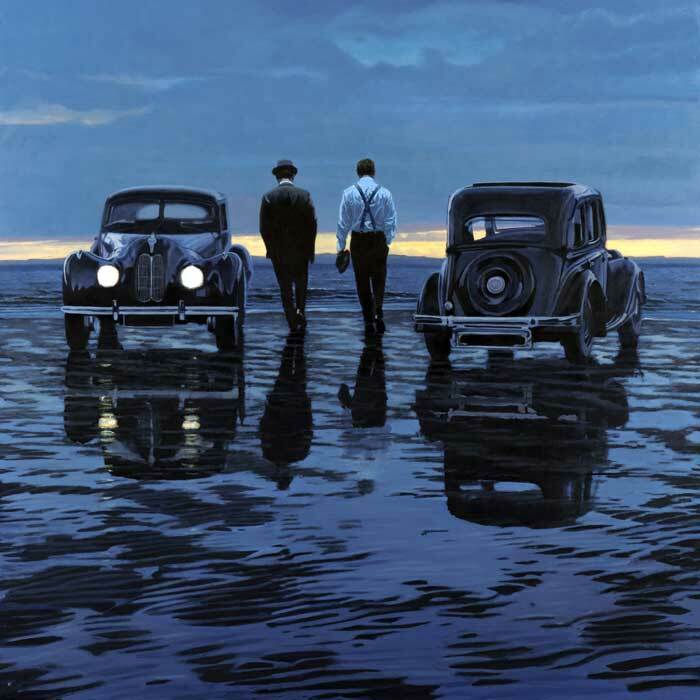 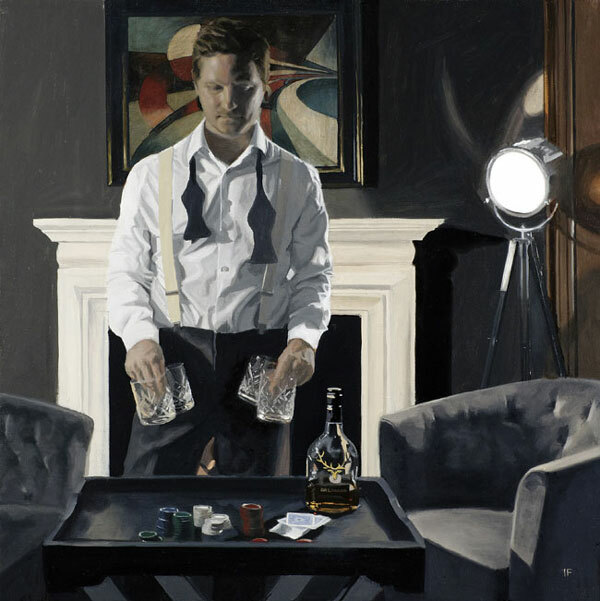 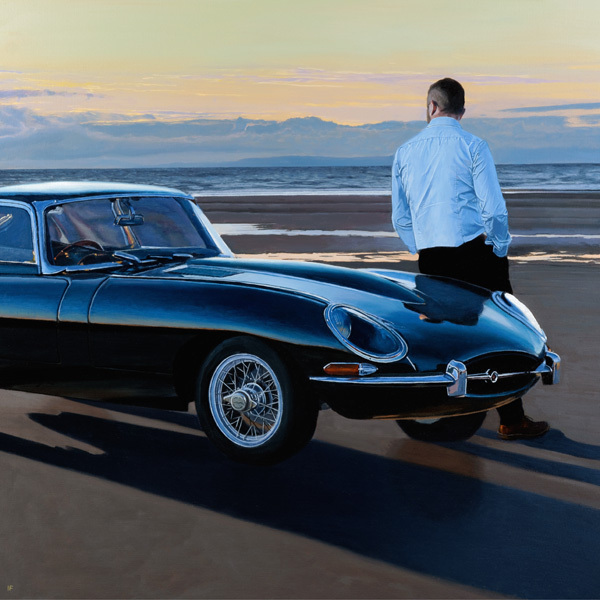 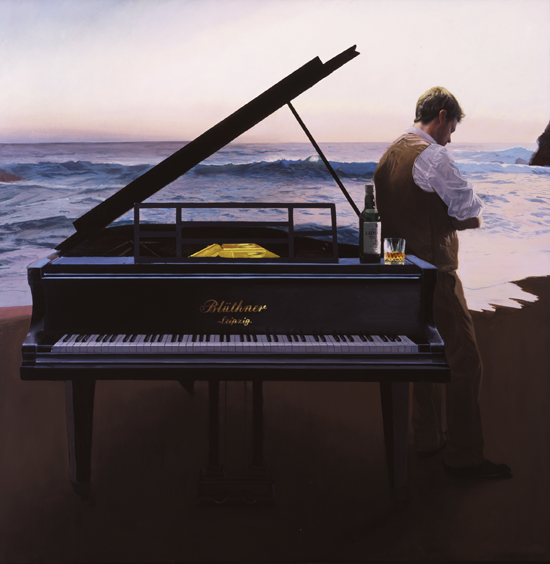 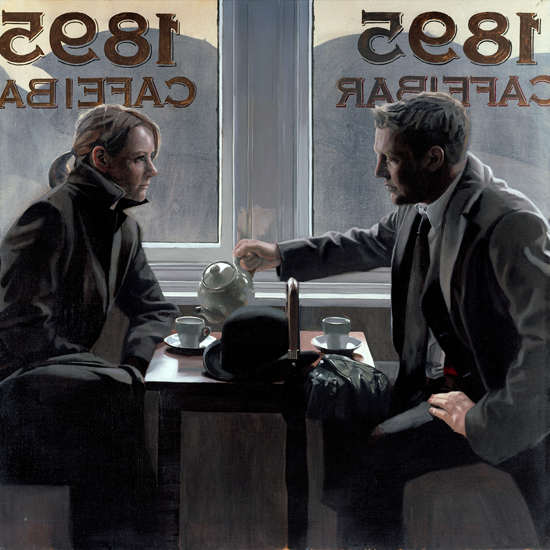 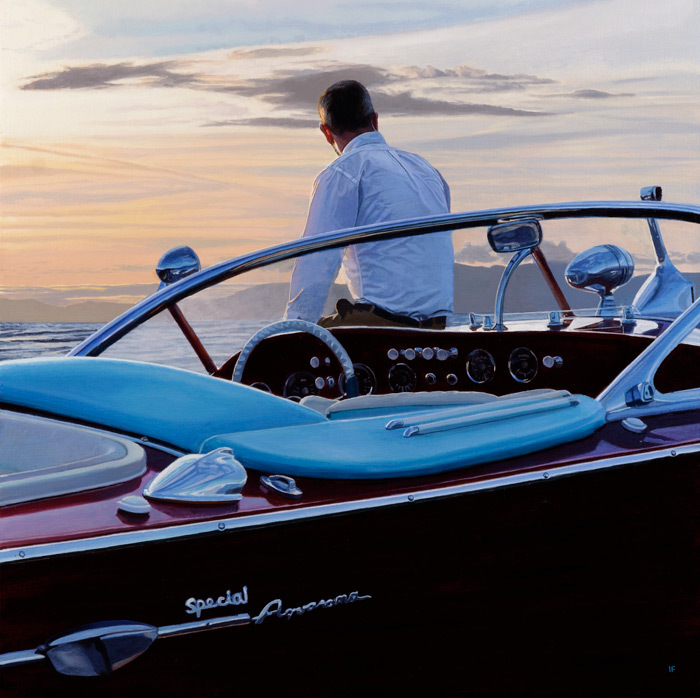 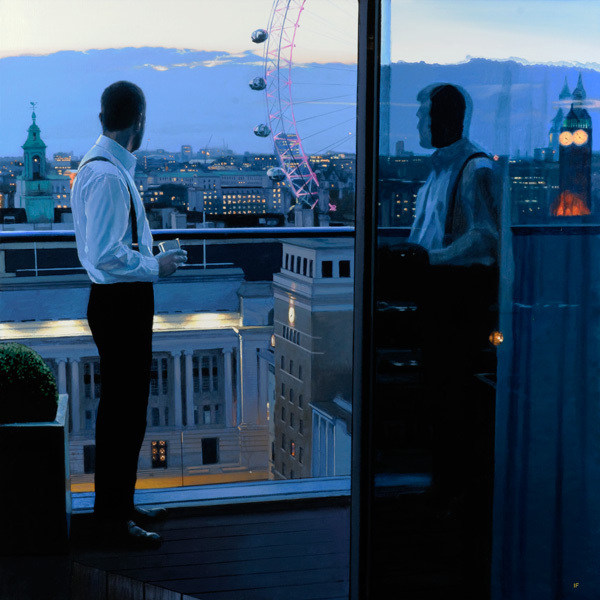 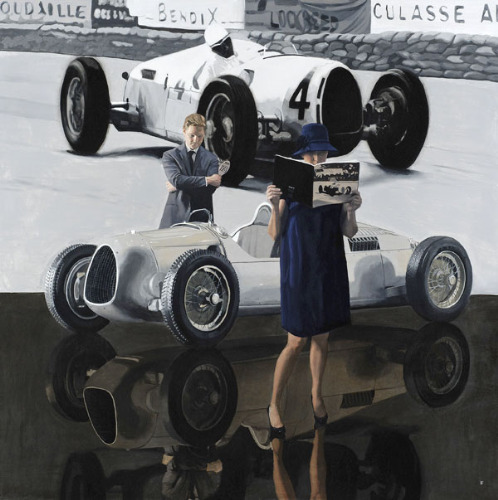 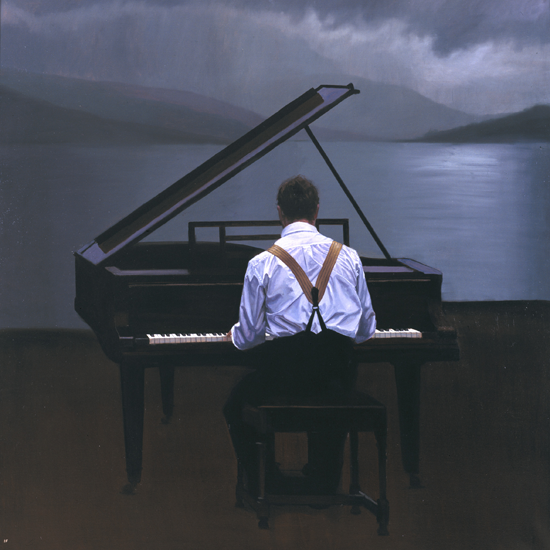 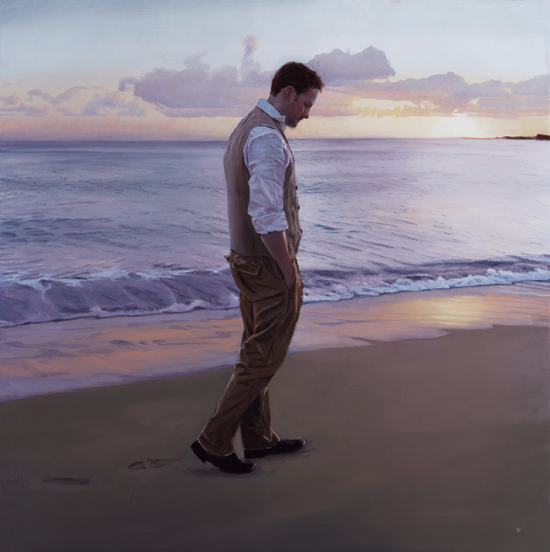 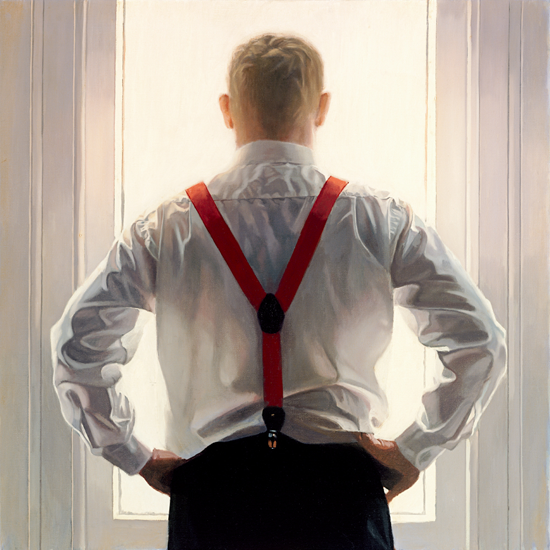 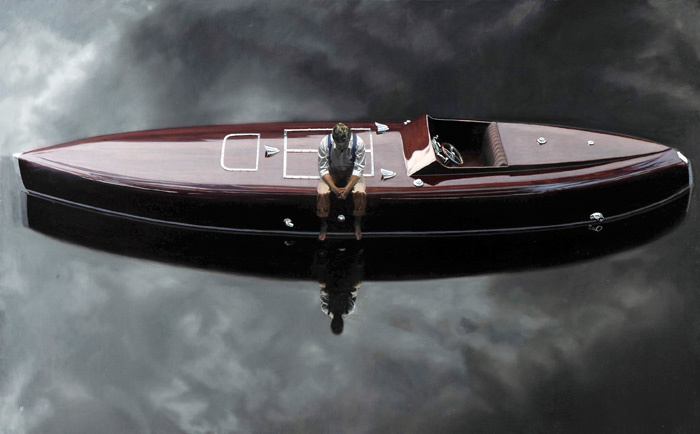 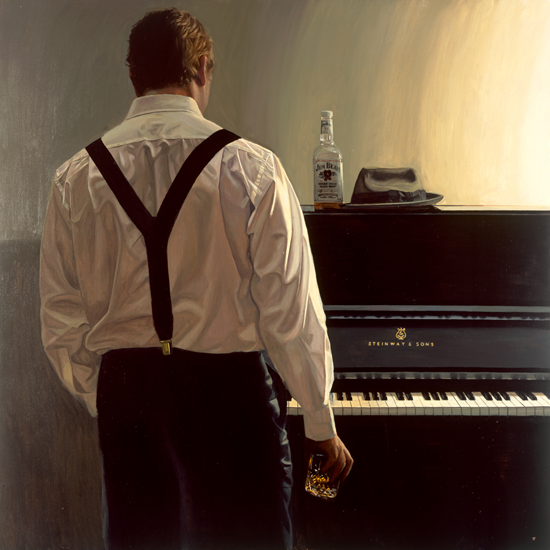 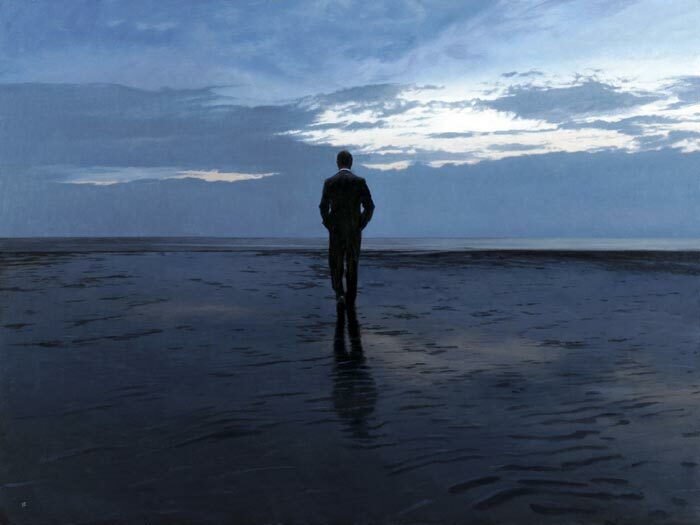 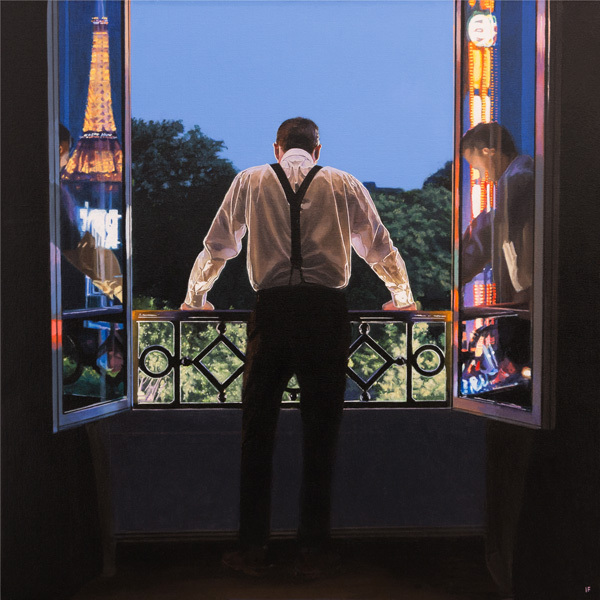 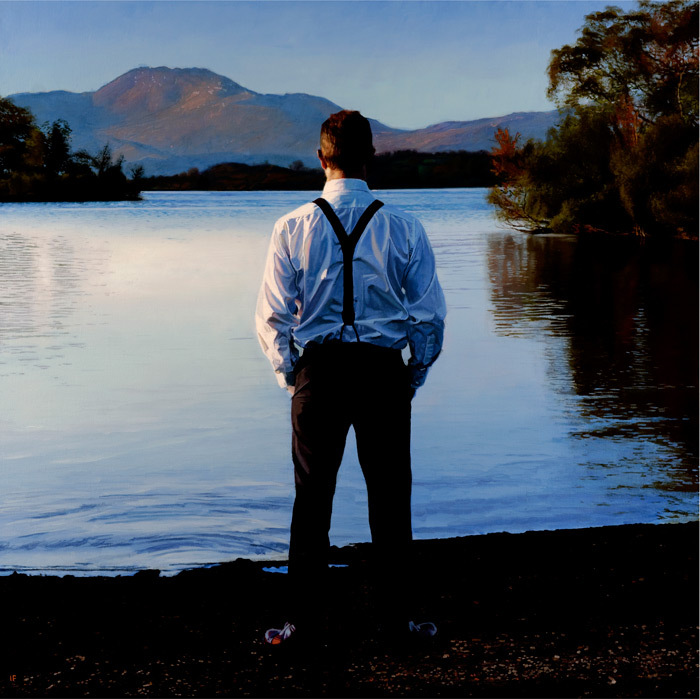 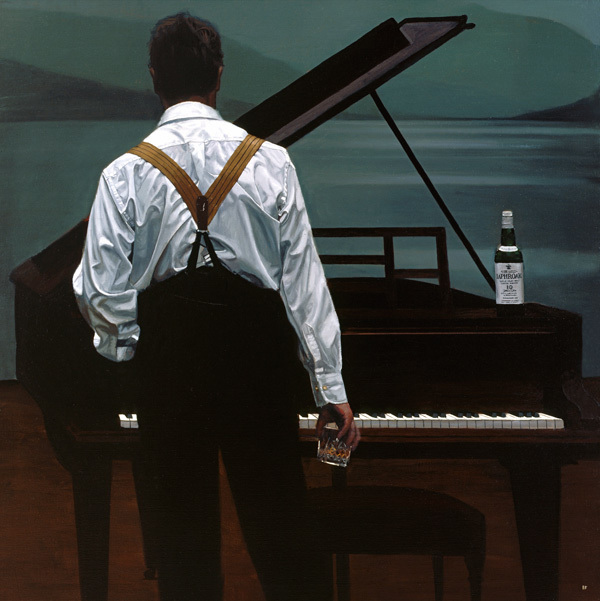 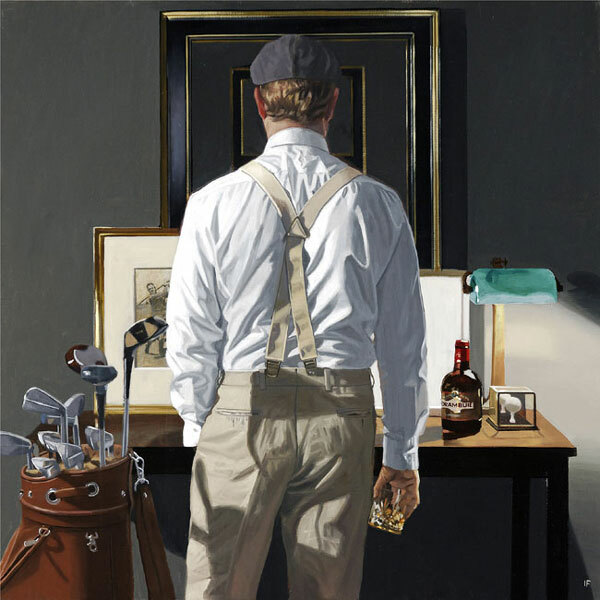 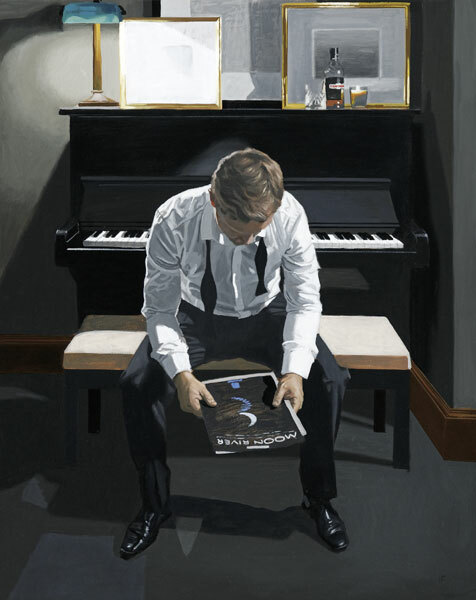 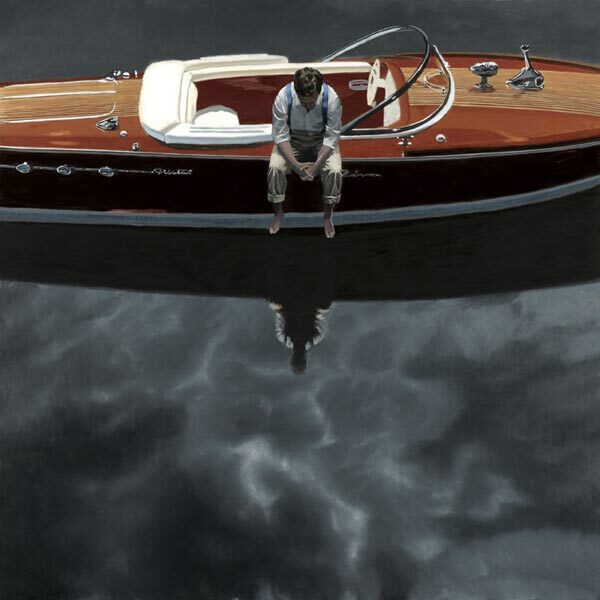 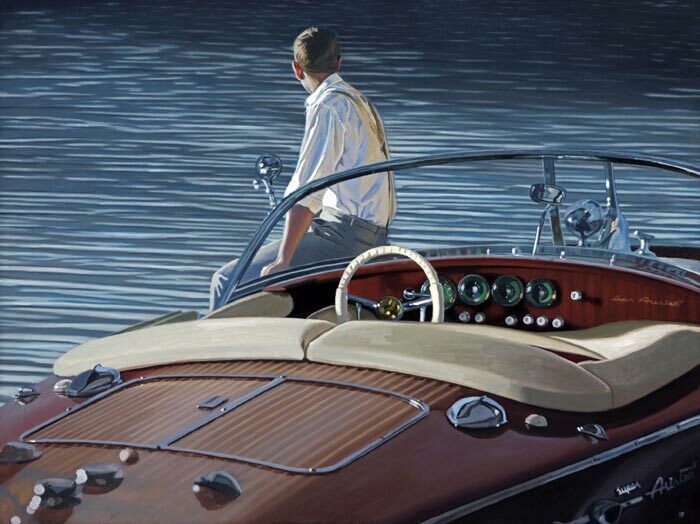 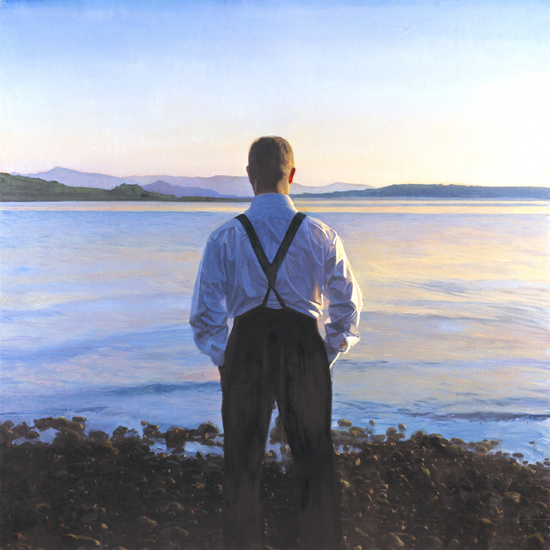 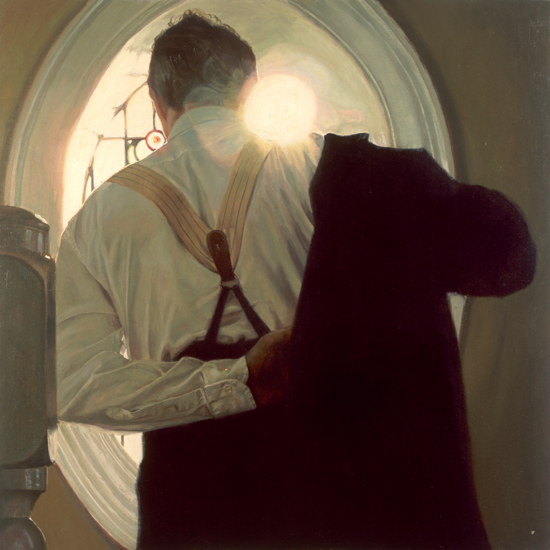 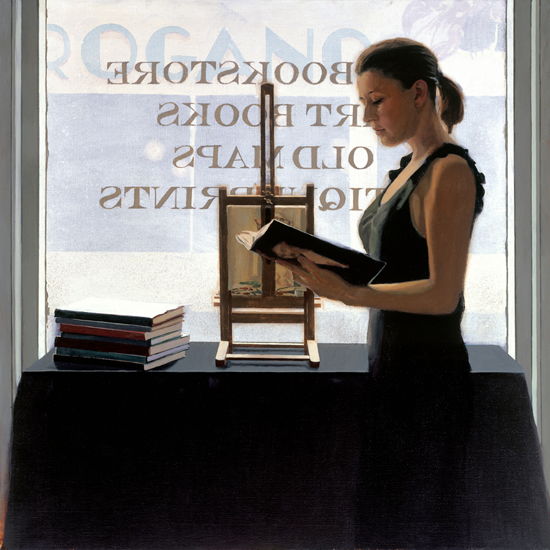 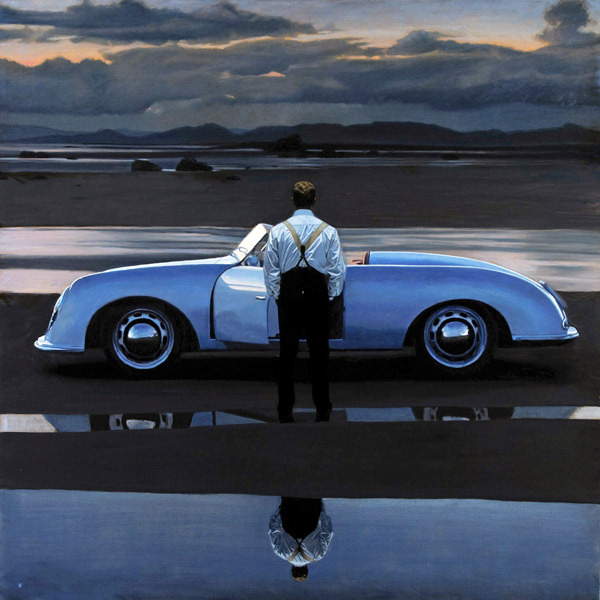 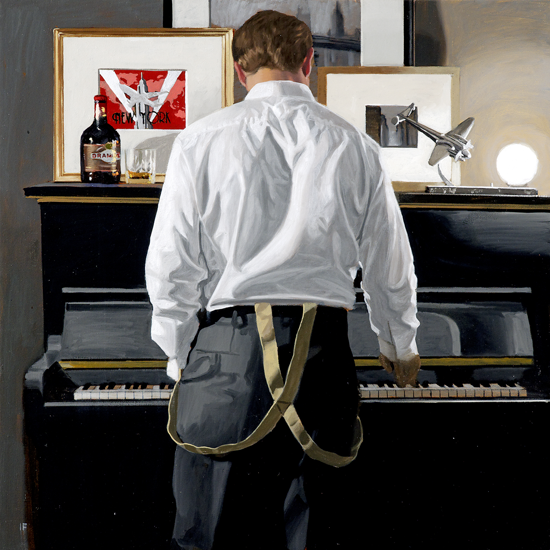 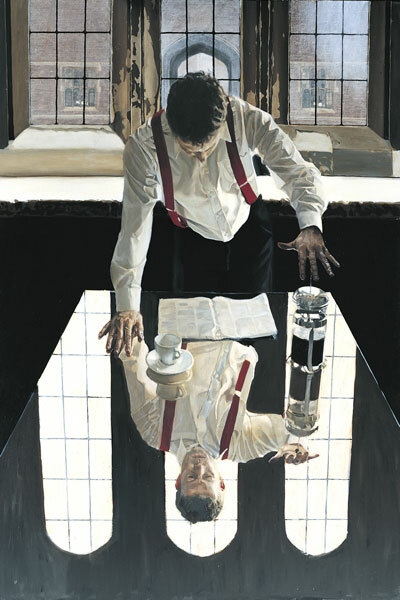 Iain Faulkner's use of this technique gives a stark contrast between the light source and the often dark tonality found in his paintings. 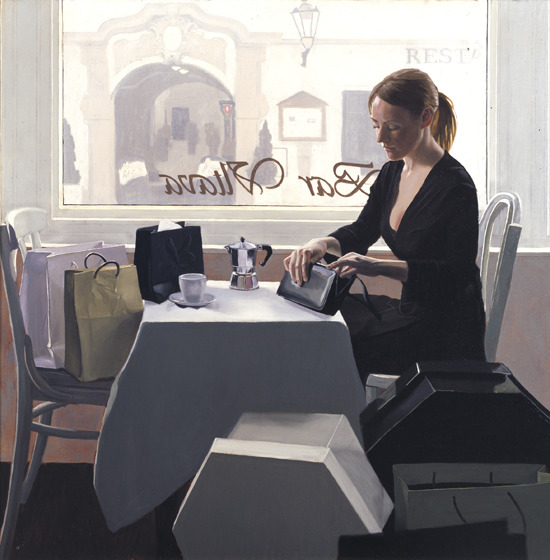 There is a stillness in the everyday themes which conveys a sense of inner-reflection. 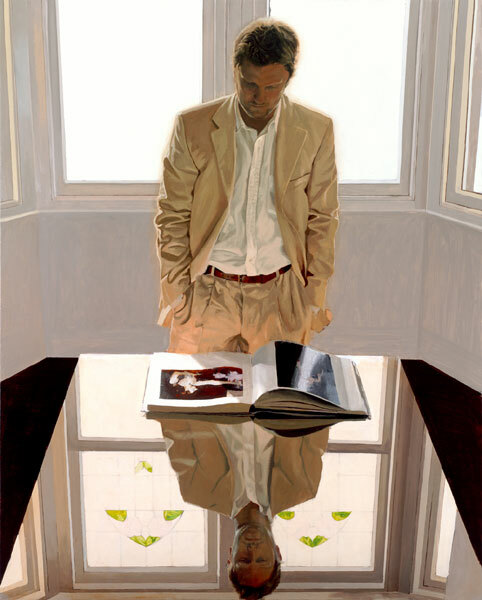 This is accentuated by the formality of his young self-engrossed characters and emphasised by the light and shadows reinforcing their emotional detachment. 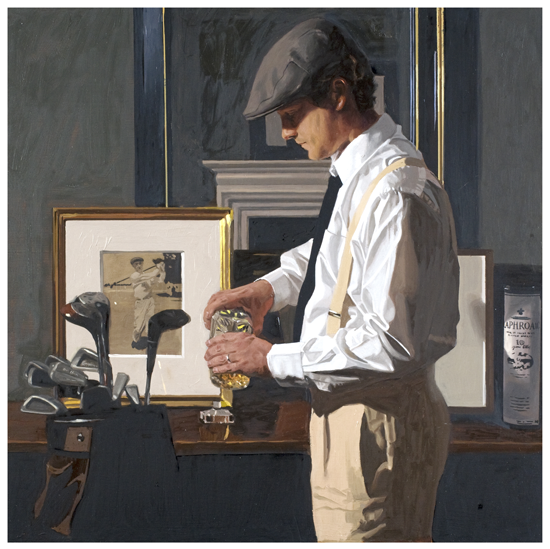 His charcoal drawings are testament to his draughtsmanship; his awareness and acknowledgement of the prime importance of drawing and control of tone and to the peeling back of layers of paint thus revealing an insight into his creative process.